Hong Kong International Film Festival (HKIFF) has in recent years engaged in film projects championing young and promising talents, on top of its missions of introducing world cinema, promoting Hong Kong cinema and film culture. 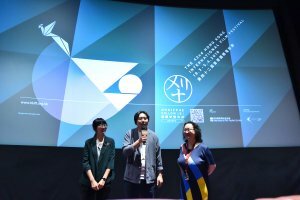 One of these initiatives is Early Bird New Directors Film Fund, organized by HKIFF and Heyi Pictures to offer various supports including finance, networking and distribution to new filmmakers. The two winners of the inaugural film fund, WANG Qiang’s Sunshine That Can Move Mountains and Jiang Jiachen’s Looking for Lucky, were presented in the 42nd HKIFF. 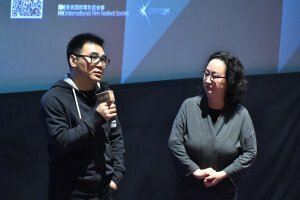 The two young directors came to Hong Kong and met the audiences in the post-screening talks during the festival, and also talked to us about their filming experience in an exclusive interview. Films about Tibetan people begin to emerge in recent years. Veteran Tibetan director Pema Tseden has become a well-known name among cinephiles; other filmmakers such as Zhang Yang has also unfolded a journey taken by Tibetan villagers on a pilgrimage to Lhasa. Tibetan director Wang Qiang, in his feature debut Sunshine that Can Move Mountains, tells a story about his hometown through Tenzin Banjue, a young Tibetan monk who takes a long journey home to visit his brother in a vegetative state, but finds himself entangled between faith and love. Wang Qiang spoke at Q&A session after screening of “Sunshine that Can Move Mountains” at 42nd HKIFF. Talking about his creative inspiration, Wang said he has developed a strong interest in Tibetan culture and Buddhism during childhood. Before filming his debut feature, he has already made a few documentaries about Tibetan culture. “A seed might have been sown in my subconscious for long,” Wang said. “I want to present the kind of Tibetan culture from my own perspective.” The poetic sceneries in the film reflect the mind landscape of the protagonist. “The film represents a certain state of mind,” the director said. “I think people in different cultures face the same questions – about spiritual urge and self-awareness; about dilemma and transcendence; about love and faith. This film centers around Tibetan people, but city people will also find resonance in it.” Awarded Asian New Talent Award, Best Script Writer in the 2017 Shanghai International Film Festival, the film undoubtedly appeals to more than Tibetan audiences. 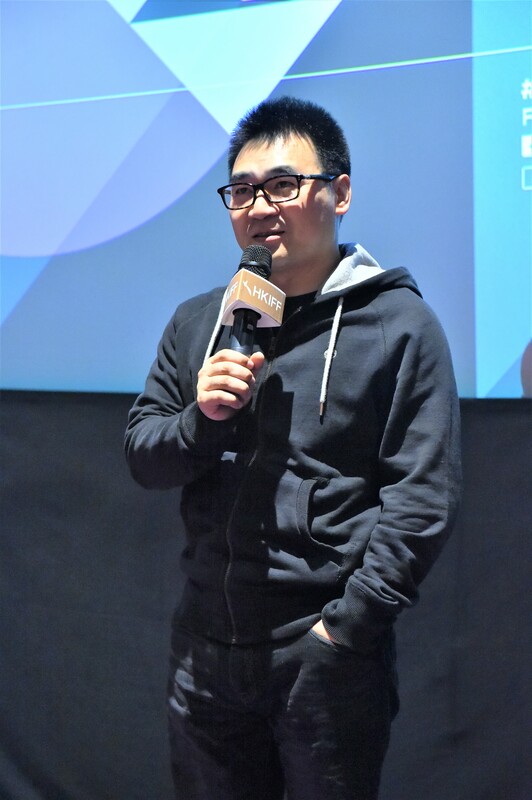 JIANG Jiachen shared his thought with audiences during Q&A session after the WORLD PREMIERE screening of “Looking for Lucky” at 42nd HKIFF. The two debut features show different distinctive traits in theme and presentation, but share similarities in adopting local dialects and reflecting regional characteristics. Both filmmakers expressed gratitude to the HKIFF for its enormous support, giving them invaluable guidance and advice in all aspects from screenplay, film title to participation in film festivals in Beijing and Shanghai as well as overseas film festivals. Looking into the future, however, both directors expressed their doubts and uncertainties. “Though my film has already obtained the theatrical distribution license in China, it does not mean that it can be released commercially,” Wang said. 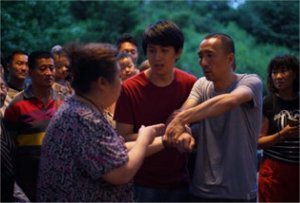 Similarly, given that his film is not in Putonghua, Jiang also showed his grave concerns about the distribution prospect. “I certainly hope more audiences can see my film. What worries me the most is whether there is any opportunity for commercial release,” Jiang said. Despite that the China film market has undergone rapid development, film distribution is still largely controlled by major theatres and distributors. While large scale production with strong cast can easily be shown nationwide, small and independent films find it difficult to reach their audiences. Online platform seems to offer a way out, but at present only sensational films that attract eyeballs are welcome. Going forward, is there any opportunity for independent or unconventional films? Can quality films find their audiences and distributors? Will a healthy, inclusive film market be developed in China? And, what will be the future for these two good films? Many questions are yet to be answered.